The Smartphone – A Productivity Killer? Over 2 billion people worldwide currently use a smartphone. Since the introduction of the iPhone in 2007, a mere 11 years ago, our society has become increasingly more dependent on digital communication. The positive aspects of the smartphone are manifold. From nearly everywhere, we can check e-mails, search for information, or navigate our way. One of the authors of the present article (CM) is working part-time in Chengdu, China. Without digital communication platforms such as Skype, he would not be able to stay in touch with his wife and small daughter. So, our mobile and flexible societies are desperately relying on these smart technologies to function well. Aside from the clear positive aspects of smartphones in everyday life, a growing number of scientists are concerned about possible negative effects of constant smartphone usage. 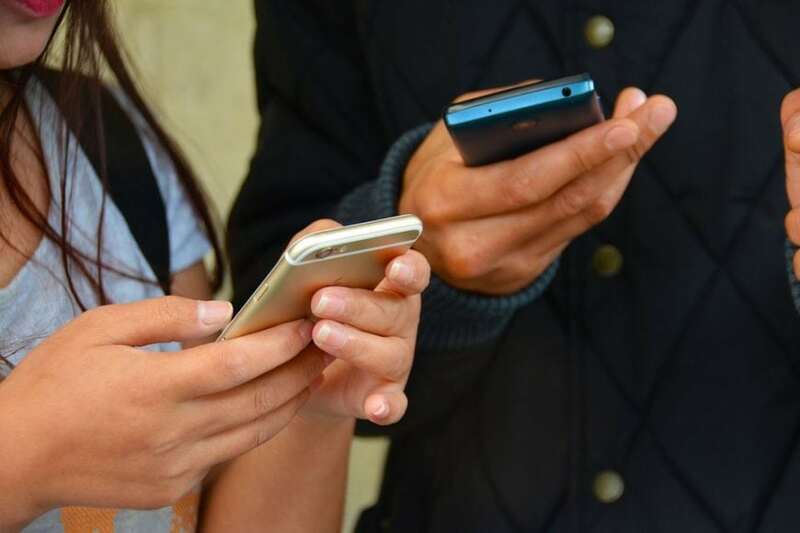 Recent research, including that of our colleague, Kostadin Kushlev, suggests that high smartphone usage, characterized by constant interruptions in everyday life, might even lead to ADHD-like symptoms. In other words, humans are becoming increasingly distracted and impulsive, triggered by frequent moment-to-moment interruptions, as our smartphone alerts us to new messages via WhatsApp, etc. (and when we respond immediately to this constant influx). Therefore, excessive use of smartphones also hinders “flow” experiences at work or other rewarding leisure activities. According to Mihály Csíkscentmihály’s prominent psychological model, “flow” represents a productive positive state of mind in which we can easily complete a task and time flies by without our awareness of its passage. Unfortunately, the smartphone itself can be very absorbing – therefore it can take up quite a lot of time in our daily lives, which might be better spent elsewhere. Just take a look at parents using their phones at the playground, rather than interacting with their children. In Germany alone, we recently recorded time spent on smartphones via an application and found that about 2.5 hours per day are lost to smartphone use; in total, this equates to almost one day a week! Given these findings, we (ÉD and CM) wondered if smartphone addiction a) would be associated with lower self-reported productivity at work and b) if such an association would be driven by smartphone interruptions. As interruptions cannot be assessed well via self-report (try to guess how often you were interrupted on your phone last Monday – it’s hard to quantify! ), we instead asked participants to estimate the number of hours lost due to smartphone use in the past week (also not an easy task!). Such a loss of hours was taken to arise from daily interruptions and time spent on the phones. Indeed, in 262 participants recruited online from many areas of Germany, we found that addictive tendencies towards smartphone usage correlated with lower self-reported productivity at work and that this association was driven by “interruptions” from the smartphone. We estimate this latter variable based on the self-reported number of hours lost due to smartphone use. Although this reliance on self-report is a clear limitation of the present work, this initial insight paves the way to incorporate app-tracking technologies to enhance future research in this area by directly recording behavior. In sum, smartphones are not good or bad. It depends on the context of usage. If used in the right way, smartphone technologies make us more productive and enhance our daily life. But there is a point, perhaps best defined by constant interruptions and fragmentation of everyday life, where our attention and concentration suffers, and smartphone usage indeed can make us non-productive. Based on the limited research in this area, this link between productivity and smartphone usage might resemble and inverted U-function. Needless to say, smartphones are also too ubiquitous in many social situations, where we all need to observe a digital etiquette and concentrate on the person we are talking to in a café or business meeting. Instead, many of us act according to the rule “digital first,” which also hinders our enjoyment of our lives. Finally, not using the phone in every idle situation such as commuting might help to foster our creativity. Mounting evidence clearly suggests that mind-wandering incubates creative thinking. So it is good from time to time to just look out of the window while traveling by bus and trains. As the Romans so rightly suggest: Carpe Diem. If you want to check your own tendency towards smartphone addiction, you can take part in our new study: www.smartphone-addict.com You’ll get immediate feedback after participation. These findings are described in the article entitled, Smartphone addiction, daily interruptions and self-reported productivity, recently published in the journal Addictive Behaviors Reports. This work was conducted by Éilish Duke from Goldsmiths, part of the University of London and Christian Montag from Ulm University and the University of Electronic Science and Technology of China. Éilish Duke is a PhD student in cognitive neuroscience at Goldsmiths, University of London · Department of Psychology. Christian Montag is interested in the molecular genetics of personality and emotions. He combines molecular genetics with brain imaging techniques such as structural/functional MRI to better understand individual differences in human nature. Adding to this he conducts research in the fields of Neuroeconomics and addiction including new approaches from Psychoinformatics.